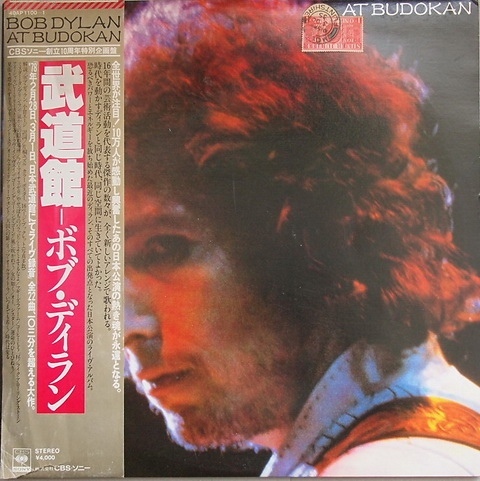 "At Budokan" is a live album by Bob Dylan, recorded during his '1978 World Tour'. The recording is from two different shows on February 28 and March 1, 1978 at Nippon Budokan Hall in Tokyo, Japan. The album comes as a shock, a sacrilege and an unexpectedly playful bonanza. This radical re-imagining of his most familiar songs would become a hallmark of his concert approach from there on out, but at the time, some critics and fans were utterly dismayed. "At Budokan" reached #13 in the US and went platinum, while simultaneously peaking at #4 in the UK. 'World Tour 1978' was a concert tour and Dylan embarked on a year-long world tour, performing 114 shows in Japan, the Far East, Europe and the US, to a total audience of two million people. I wonder does she remember me? If the people of Japan wish to know about me, they can hear this record, also they can hear my heart still beating in Kyoto at the Zen Rock Garden. Someday I will be back to reclaim it.